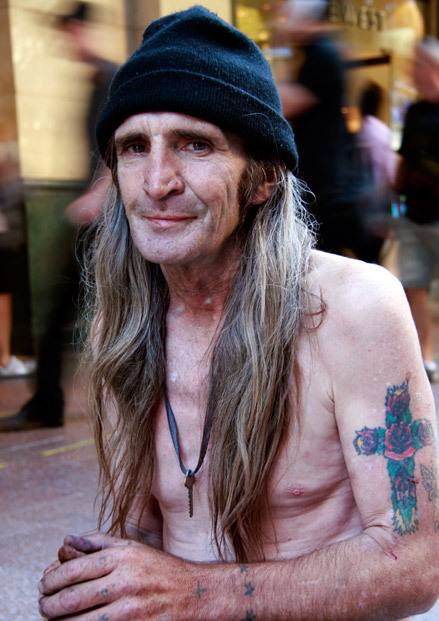 Brian Rudd is a homeless man, working in Pitt St Mall, Sydney. 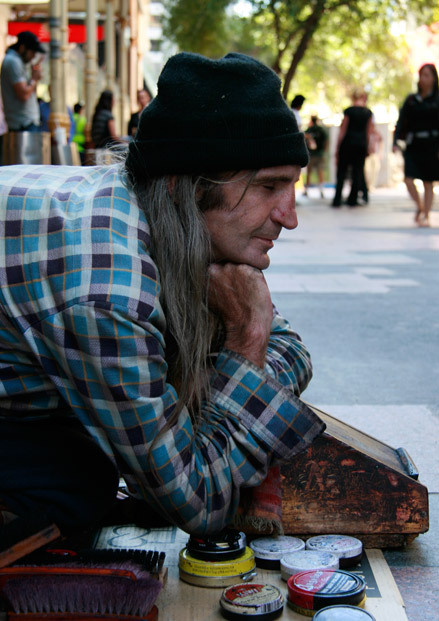 He shines shoes and leather items and earns $25 a day if he’s lucky. I wanted to take photos of Brian specifically because I find it interesting that he comes to set up his store in Pitt St Mall every day, like everyone else going to work. 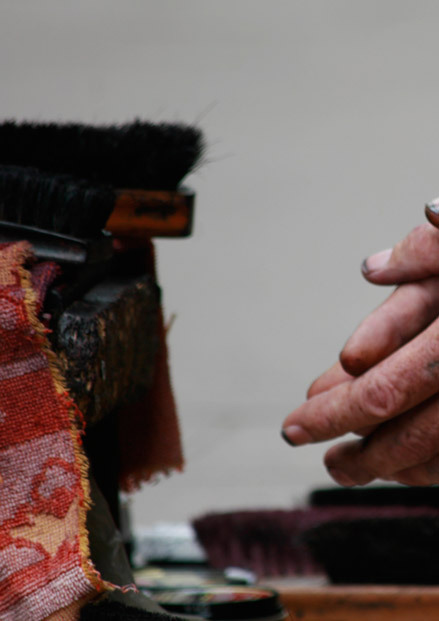 Only everyone else earns, and spends, more than $25 a day. He gave me permission to take photos of him. Dinh has been working as a graphic designer in the financial services industry for the past 10 years. She has designed publications which have won awards from the Society of Technical Communicators (Australia Chapter and International) - Distinguished (2004, 2005 and 2007), Excellence (2004, 2005 and 2007), Best of Show (2004), Distinguished Technical Communication (2004). She has also contributed to Annual Reports which have won the Gold Awards from the Australasian Reporting Awards from 2002-2007.